Stain resistance, soil-release and liquid repellency are yours thanks to DuPont Teflon® fabric protector. 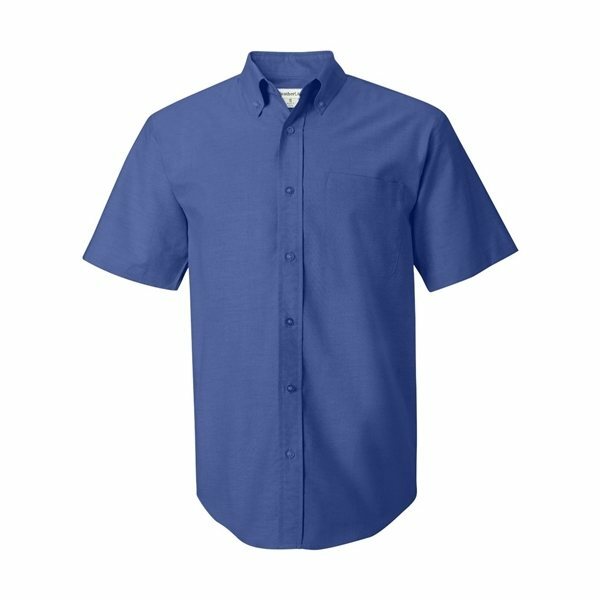 4.2 oz., 70/30 cotton/polyester oxford cloth. Button-down collar with white pearlized buttons. Two-ply back yoke with a pleat, felled seams. great qualty for the price. Everyone at work LOVED the Anypromo bags that I purchased. Everyone loved them a lot, I decided to order another shipment. Everybody wanted them. We all like the products! Wonderful price! I wish the prices had remained the same,because I want to order again. Great advertising tool. High quality, meets the anticipation I had of the item. I definitely recommend AnyPromo for your custom logo products.